This security camera system is not banned for federal projects. Please see our 2019 Federal NDAA guidelines knowledge base article for an overview of the legislation affecting the surveillance industry that goes into effect on August 1st. The ban affects some or all Honeywell, Hikvision, Dahua, Lorex, Swann, LTS, Annke, Alibi, Laview, WBox, Interlogix, Flir, Bosch, ICRealtime, QSee, Panasonic, ADT, Indigo Vision, and many other security products. Most security camera systems are sold as a one-size-fits all bundles. 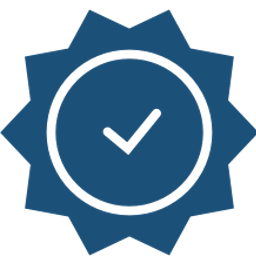 At SCW you can customize our systems to your exact needs. When you go to add this system to your cart, it will ask you to choose a hard drive size and present you optional mounting brackets. You can choose the hard drive size in your system. Hard Drives are installed the same day your order ships by our shipping team in North Carolina. Most homeowners look to keep around 3-14 days of footage on hand, while business tend to keep 14-90 days. For this two channel 4K system, a 1TB hard drive will usually last around 6 days on continuous H.265 recording and 4-8x longer when recording on motion. To calculate the storage requirement for a custom timeframe, check out our Record time calculator. The brackets for the cameras in this system are optional. 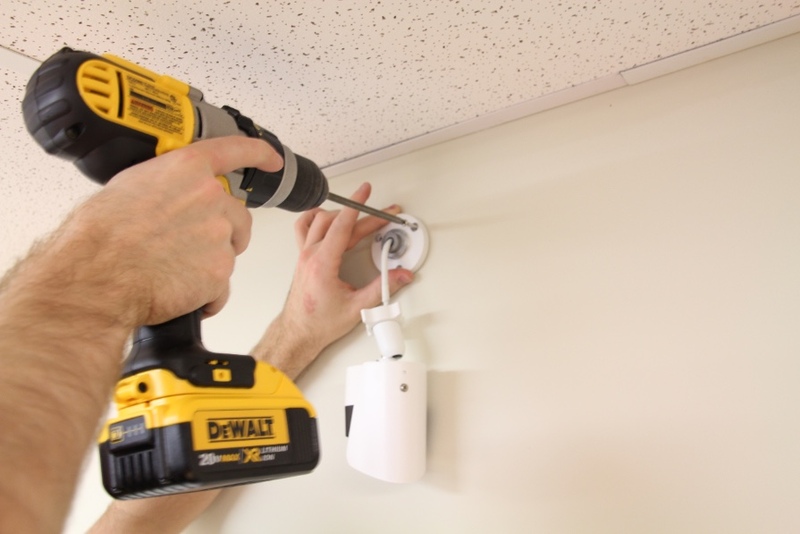 We recommend adding the electrical box mounts if you are mounting the camera outdoors as they give easy access to your connections, hide them inside the junction box, and allow you to drill a smaller hole in your wall (which means lower heating/cooling bills). The electrical box mounts are only necessary if you want to run conduit. When this system is in your cart, it will break up into its components so that you can customize it. Our systems are designed to get you some ideas as to what you might need, not to be one-size fits all solution for everyone. Most of our customers modify these premade systems with one or more specialty cameras. 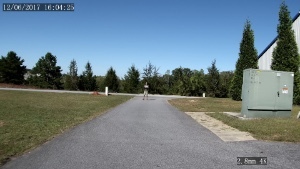 For example, you may have a gate further away from your property that may require a specialty long range camera like our Archer or Sharpshooter models. You may have a highly important area where you might want to install our Knight model with its integrated motion light. 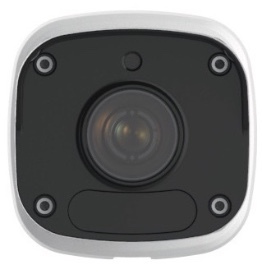 You may want to include one of our commercial grade PTZ cameras that you can move around with our apps. A slight majority of our clients end up buying the cable locally, for four reasons: (1) you can start you installation immediately and have the cable run by the time your cameras are delivered! 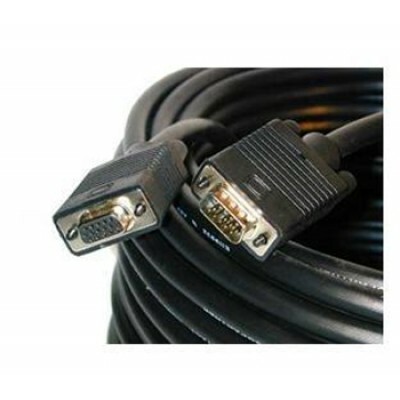 (2) Because cable is heavy and cheap to make - you can often buy it locally for cheaper than we can ship it to you. (3) If you are installing the cameras outdoors, you should follow our RJ45 Waterproofing guide for weatherizing your cable connections, and this means cutting the end off. (4) You want to avoid excess cable laying around, because many rodents see coiled cables as an excellent place to make a nest. Many large home improvement stores will usually help you cut your cable to exact lengths and will usually even work with you regarding weatherizing the connectors. When on the cart page, click the red x to remove an item you don't want. Type in the quantity box and then press "update" to change quantities. You'll be asked about product options, like camera brackets or the NVR's hard drive size, when you add this system to your cart. If you change your mind, you can press the edit button on the cart page to change these options. Although you can substitute any Admiral line SCW camera and have them work with this system, we have included two motorized 4K varifocal (adjustable) lens cameras in this customizable system bundle: The Judge 8.0 and The Gladiator 8.0. Both of the cameras in this system record at 4K (8 Million Pixels per frame - about four the quality of your 1080P HD TV) and both can be mounting indoors or outdoors, on the wall or on the ceiling/overhang. The Judge is usually used indoors and has an 1K10 vandal proof glass dome surrounding the lens. IK10 is the highest measurement rating for protection from physical damage for security camera products. The Gladiator is usually used outdoors and has 325 foot of infrared. The Gladiator also has a P-Iris, which allows it to change its aperture on the fly and optimally focus in all lighting conditions. The Gladiator is very similar to our Viking camera, but has twice the resolution. It has a motorized telephoto lens that allows you to optically zoom in to see a distant area more clearly. You can adjust the angle of view with our apps, over the web, or via your SCW NVR. Just like with a point-and-shoot camera or a pair of binoculars, when narrow the field-of-view, you zoom in on an area and you can see more detail in that area. 4K video records 8 Million pixels per frame and the Gladiator shoots 30 frames per second. The Gladiator also has a P-Iris, which allows it to change its aperture on the fly and optimally focus in all lighting conditions. Sample Photos taken by the Gladiator 8.0. Click to enlarge the images. Press ESC key to close. This camera has a P-Iris. P-Iris is the next level up from a DC-iris lens. A DC-Iris exists to continuously adjust the flow of light through the lens, while a P-Iris exists to both adjust to lighting conditions and ensure that the camera is using the best possible aperture (f-stop) for what it is filming. 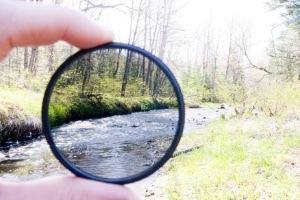 This means fewer optical errors, and the best contrast, resolution, and depth of field the camera can offer. This camera has Anti Reflective Glass. The Judge is our 4K 1K10 dome camera. It has a motorized telephoto lens that allows you to optically zoom in to see a distant area more clearly. You can adjust the angle of view with our apps, over the web, or via your SCW NVR. Just like with a point-and-shoot camera or a pair of binoculars, when narrow the field-of-view, you zoom in on an area and you can see more detail in that area. 4K video records 8 Million pixels per frame and the Judge shoots 30 frames per second. The Judge has 1K10 vandal proof glass dome surrounding the lens. Glass domes are iconic and what people usually think of with a security camera, but the glass has benefits and drawbacks. Despite our logo being a glass dome camera shape, most of our models don't have them anymore because they aren't that DIY friendly. 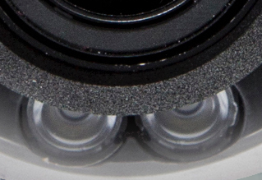 To install most glass dome cameras, you have to remove the outer dome to reveal the mounting screws and then screw the dome back on after mounting the camera. In more humid areas, this can trap moisture inside the camera; for this reason, most glass dome cameras are installed indoors. The Deputy comes with some silicon moisture absorbing beads to help combat this issue (please don't remove them). 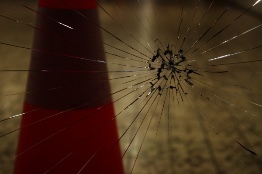 Glass domes are sometimes used outdoors especially in situations like college campuses or apartment complexes where "non-destructive vandalism," such as turning the camera away from its intended target, is common. Glass domes do not hide which way the camera is pointed. 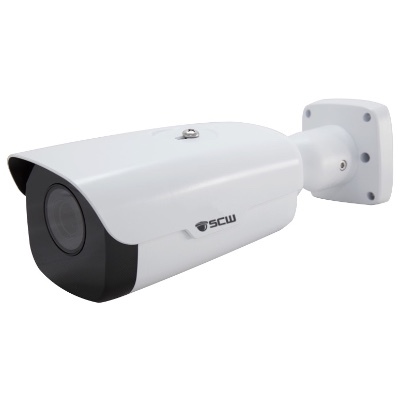 IK10 is the highest measurement rating for protection from physical damage for security camera products, so it should protect against some destructive vandalism as well. Sample Photos taken by the Judge 8.0. Click to enlarge the images. Press ESC key to close. This camera has achieved a rating of IK10. 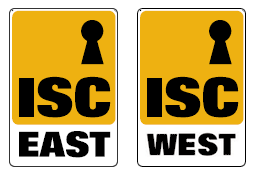 IK10 is the highest measurement rating for protection from physical damage for security camera products using the international standard IEC 62262 scale. IK10 is the highest rating possible, and this camera should be protect against many human-based forms of destructive vandalism. Most security camera manufacturer and retailers use an image of a hammer hitting a camera as a way to explain vandal proof ratings. This can be misleading. Please don't misunderstand the scale and think that IK10 cameras are indestructible. We're happy to have gotten the highest rating possible, but want to make sure that we're not creating unrealistic expectations. There's no ability to make a product that can never be damaged, and hitting any security camera with a hammer will almost always damage it. Technically, IK10 means that it is has survived a 20 joules impact repeated 5 times with no damage to function, in a lab and under normal environmental settings. 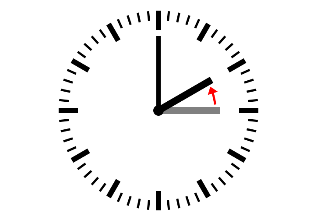 As a point of reference, a baseball bat swing from a professional MLB player, in a normal horizontal stance, with a wooden bat, causes about a 200 joules impact on the ball. A metal bat or metal hammer has the ability to transfer even more energy if the contact area is smaller. Although our camera has the highest rating possible, the IK10 standard isn't really as high as these "IK10 hammer" images make them appear. IK10 camera are not bomb proof, or bullet-proof, or hammer proof. No matter what other companies put on their images, if you hit their products or ours (or really anything made of glass) with a hammer or baseball bat, you probably are going to break the glass and get hurt. This camera has Wide Dynamic Range. Wide Dynamic Range splits each frame/image into many boxes and it scans for in inaccuracies and adds the right amount exposure to create a balanced and high resolution video shot. Very useful when recording in situations where there can be a large difference in light levels. This camera has both an input and output for a microphone and speaker. To connect an external speaker and microphone, just twist the speaker wire / microphone wire together in the same way that you connect speaker wire for a stereo. There are four wires in total; two for each connection, a sound channel and a grounding wire. The wires are labeled. This camera has a Weatherproof Housing. It has been rated at IP67 which means that International Electrotechnical Commission’s (IEC) international standard 60529 has rated this camera housing as having full protection from dust and safe from water damage up to powerful jets of water and immersion up to 1 meter up to 30 minutes. This camera can be safely used outdoors. Attention: The IP67 rating covers the camera's housing not the cable. Don't ever submerge cables. 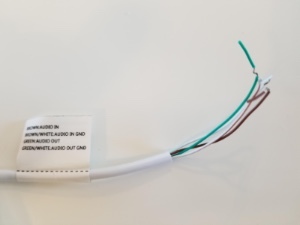 Please follow our RJ45 Waterproofing guide for weatherizing your cable connections. This camera is commercial grade, and is made of cast aluminum and ceramic molding, instead of the typical plastic molding common in the industry. 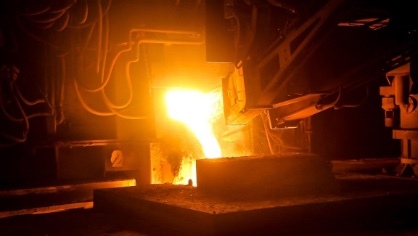 This product has passed vibration tests, can withstand an electrical surge up to 6,000 volts, and the casing will prevent intrusion of both dust and water into the internal component space. The screws and mounting hardware are made of stainless steel that have passed SUS410 salt spray anti-corrosion testing. We use automotive grade LEDs and anti-reflection glass (which means better infrared results). In short, this camera is going to hold up over time. This camera has Car Grade LEDs. Many IP cameras include low quality infrared bulbs that fail over time. This camera has Car Grade LEDs, and you should expect the same sort of longevity from them as the headlights in your car. This camera has Headlight Compensation. 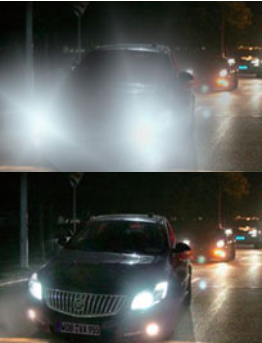 Vehicle headlights directly into the camera lens can render many cameras useless. Headlight compensation reduces glare and overexposure due to car headlights. 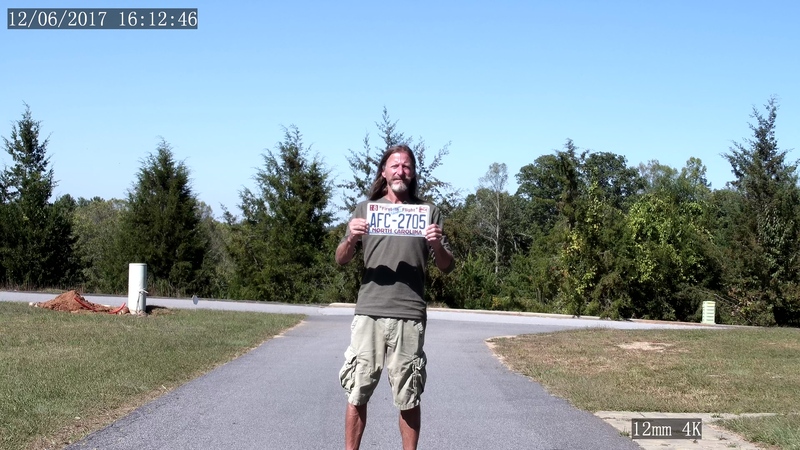 At SCW, we try not to use the misleading term "License Plate Camera." The term "License plate cameras" is used rather flippantly by the security camera industry, has no real definition as a term, and can sometimes mean simply the presence of HLC; be careful with companies offering a simple solution to a very complex task of capturing license plates. 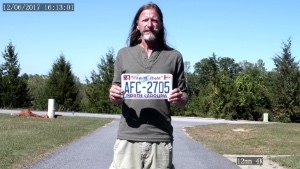 For more info, please read our knowledge base article on What they don't tell you about License Plate Cameras. This camera has Automatic Defog. 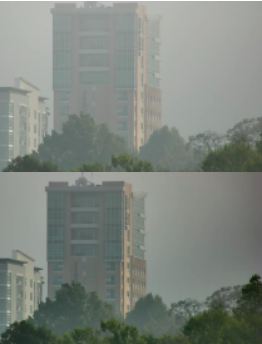 Our automatic defog feature allows you to cut through fog, air pollution, and other atmospheric haze. This camera has Corridor Mode. Corridor mode allows you to flip the image on its side so that you can change the 16x9 ratio to 9x16. This is advantageous in the case of hallways, side yards, or corridors (hence the name) where the extra space vertical space is needed and the extra horizontal space would only show you more wall or fence area. 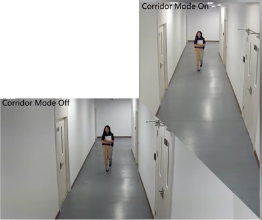 To use corridor mode, install the camera with the lens pointed 90 degrees from center and then enable the corridor mode on via our software. 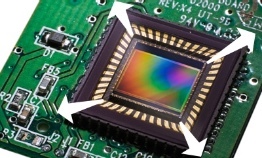 A larger image sensor allows more light to be absorbed, allowing the camera to take color photos as it gets darker, (a lower lux rating). Lux is the measurement of light in an atmosphere. Twilight is about 3.4 lux. A full moon is somewhere between 0.05 and 0.36 lux, depending on cloud cover. A moonless night is somewhere around 0.001 to 0.002 depending on cloud cover. Adding lighting like flood lights, night lights, or streetlights will increase lux in your area. Lux is a complicated topic, please read our knowledge base article on why you shouldn't choose a camera based on the lux rating, but rather image sensor size. This camera has an Adjustable Shutter Speed in a range between 1/30s to 1/100,000 of a second. The shutter in a camera controls how long the camera takes to take a picture, but faster doesn't mean better. The faster that a camera shutter opens and closes, the more likely that you will get a clear, blur-free image. The longer that the shutter is open, the more light you let in and the better your image will be in low light. Shutters that are open for an extremely long time allow you to take color pictures at night/twilight without having to switch to infrared mode, but can result in motion blur. There's no one-size fits all approach to shutter speed, so we give you full control (and free tech support) to set it up the best way possible. This camera can be powered via ethernet cable. POE allows a Cat5 cable to both carry data and power, making it so that you only have to run one cable. You will need either a POE injector, a POE Switch or one of our NVR with built-in SCWEasyConnect POE to power a camera via ethernet. **There is an optional wall plug adapter on most of our camera models. This wall plug adapter is only used by clients who cannot run POE cables. 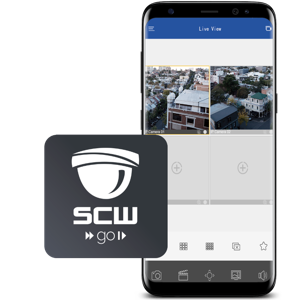 With this NVR, you can record your SCW cameras continuously, via motion, or even via VCA (video content analysis) events (like line crossing or intrusion detection). You can create individual schedules for each camera, including hours for motion recording mode, hours for continuous recording mode, hours for event recording mode, or even hours when that camera is off completely. This NVR has Snapshot Email Alerts. 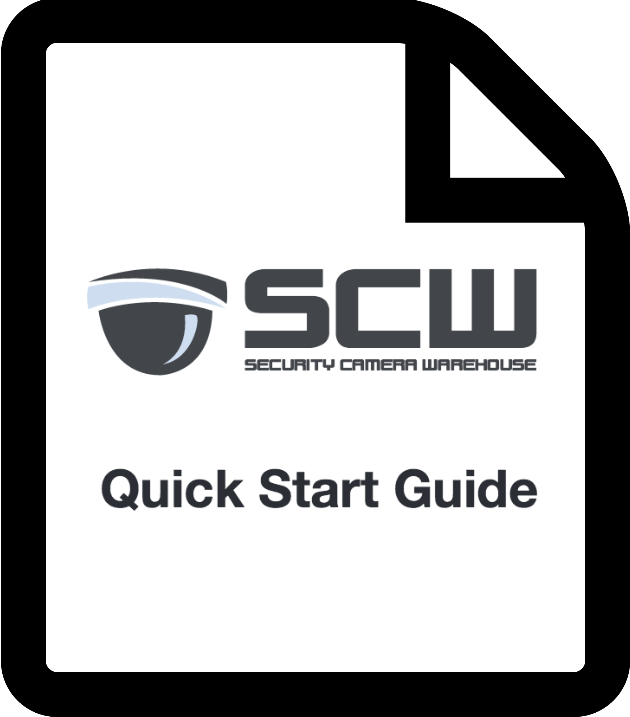 You can set up your recorder to email a series of pictures you when motion is detected by one of your SCW cameras (or if one of our other VCA event is observed). You can choose specific dates and times for these alerts to be active and other times for these alerts to be ignored. Some Snapshot email options are based upon your current recording mode. Some snapshot FTP options are based upon your current recording mode. When a VCA event happens, the NVR can capture a series of snapshots and upload those images to a FTP server of your choosing. 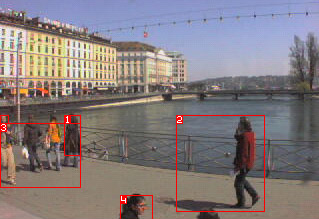 When motion is detected, the NVR can capture a series of snapshots and upload those. When in Continuous mode, the NVR can upload an image at a certain interval, such as every hour. 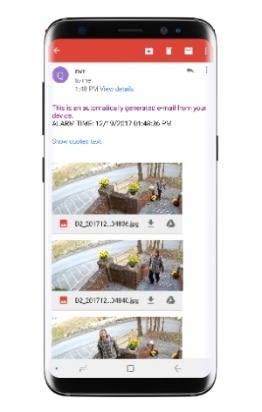 If you have a NVR or cameras with alarm inputs and you have connected an alarm device to those inputs, the NVR can capture a series of snapshots and upload those images to a FTP server of your choosing when an alarm goes off. 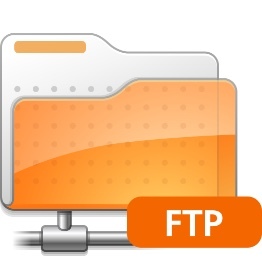 There's no monthly fee for this, as it uses your FTP server. This NVR has video analytics based motion detection. Motion detection can also be used to send you email alerts when motion is detected or to record when recording on motion events. You can modify the sensitivity level, so that more or less movement is required for the motion detection to trigger. You can create inclusion areas (places where you care if there is motion) and define the rest as exclusion areas (places where you don't care if there is motion). So, for example, you could create a motion based alert to notify you if someone was in your yard, but ignore them if they were on the sidewalk or in the street. With this NVR, you won't miss out on important motion events - and you can even go back in time before the event happened to understand why it happened. Many consumer grade cameras uses PIR sensors to trigger a camera to turn on when something gets close enough to the sensor. This is bad design as there's a slight delay (0.5-3 seconds) that can cause the camera to not record what happened. Our cameras not only don't have a delay when triggered, but allow you to go back in time to see what happened before the motion event. How is this possible? With our professional grade systems, motion based recording work differently than lower end consumer cameras. The cameras/NVRs are actually always on recording video feeds but watching the footage for you to look for changes in the frames of the video. 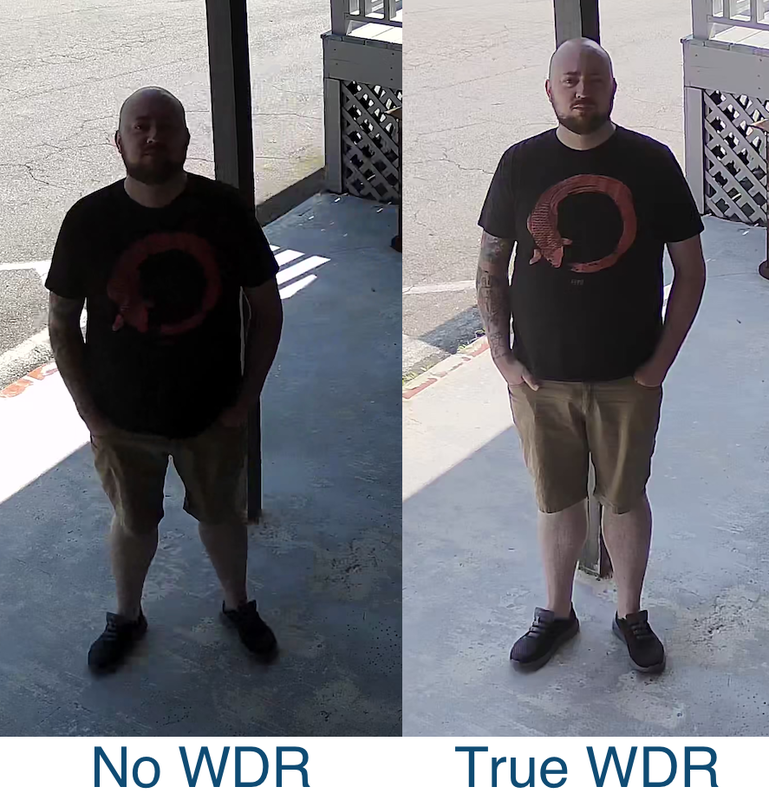 When motion detection recording is turned on, and the camera/NVR does not detect any changes, it deletes the video rather than stores it. If it does detect a change, it will save the event and a customizable amount of time before the event happened. In addition you can search your video footage for these events* and run reports on the number of people, vehicles, or objects that enter and leaving through an area. *Each feature must be enabled and setup before it can be searched. Not all features can run at once. Some Admiral line cameras only support some video analytics. This NVR can be set to alert you or record based on people, objects, or vehicles crossing a configurable virtual line. Want to know what happened to the packages on your porch? It's easy to find out what happened to it, just set up line crossing on your porch stairs, and then search by who crossed that line. This NVR can be set to alert you or record based on people, objects, or vehicles entering and staying in a set region on the view. Have a valuable asset like a cash register or air conditioner unit that disappeared? It's easy to find out what happened to it, just set up an intrusion area around it, and then search by who entered into that area. This NVR can be set to track and record the number of people enter and leaving through an entrance (or cars or objects). You can view these stats on your NVR or download a CSV file to view it on your computer. (People Counting is a new feature in the industry and should be considered to be in beta. It works reasonably well when mounted directly above a doorway, looking down. It is less accurate when mounted across a room and aimed at a doorway. People counting does not understand identity; it will not learn who you are. It will count someone entering, leaving and then coming back again as two visits. 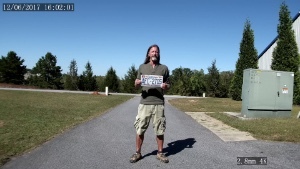 There are three different VCA alerts aimed at camera vandalism. Video Loss, which happens when a the NVR loses communication with the camera, such as if a cable is cut. Scene change, which happens when the camera is pointed in a new direction. Video Tampering, which happens when the lens is covered. Looking for someone specific? 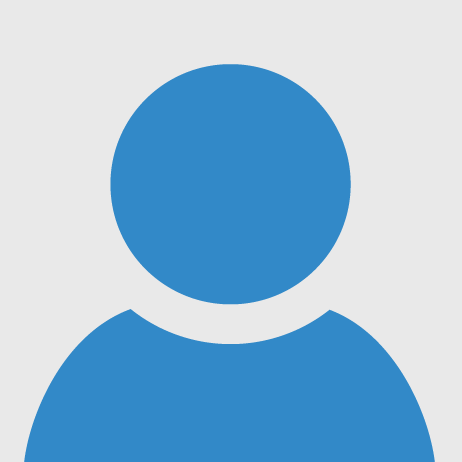 Turn on face detection mode and search by the faces that the camera detected. Recording audio is more heavily regulated in the United States than recording video. Whenever you record audio, you must always be certain that you are not breaking the Federal Wiretap rules. On our IP cameras with audio page, we go over a very basic description of the Federal Wiretap Act and the differences between 1-party and 2-party state rules for audio recording. 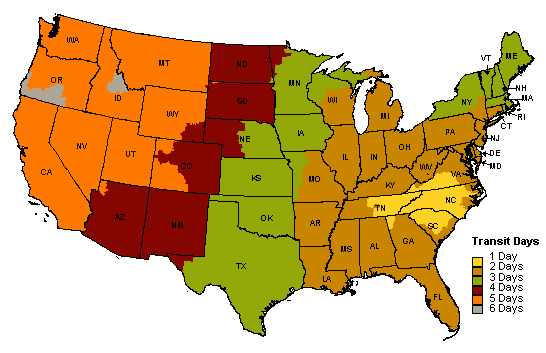 Please be aware many cities and counties have passed their own regional rules regarding audio recording. Consult a lawyer before recording audio. Audio detection can tell you when there is a sudden rises in volume, a sudden fall in volume: a sudden changes in volume, or if volume exceeds a threshold. Save time reviewing footage by filtering and searching for events based upon video analytic criteria. 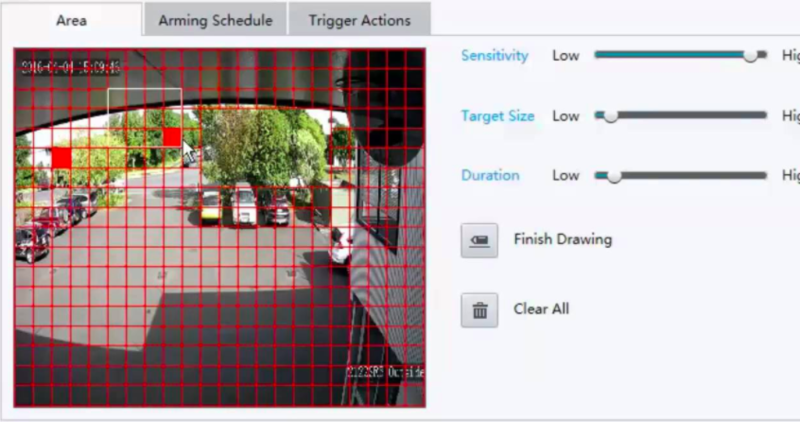 Quickly review footage by filtering by motion detected in specific areas of the screen, by the face captured, by intrusion into certain areas, or by line crossing. (Requires setting up these video analytic features in advance). Our Windows/Mac application is a full featured, easy to use, desktop video management software. You can combine multiple Admiral or Imperial systems, even at multiple locations and seamlessly view, control, and manage them as if they were one system. 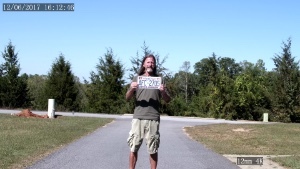 Just about anything you can do on your NVR you can do on our free SCW ViewStation. 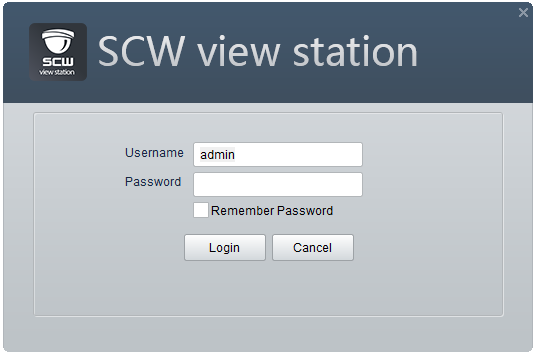 SCW View Station is both Mac and PC compatible and is 100% free. Our browser plugin supports Internet Explorer. SCWGo is availible for both Android and iPhone/iPad. You download these apps from your phone's app store. Just look for the SCWGo app. Tired of chasing down firmware from the manufacturer, downloading the firmware, uploading the firmware to the device, and then restarting the device? Don't bother! This device checks for firmware and then downloads and installs it, itself, with one click. 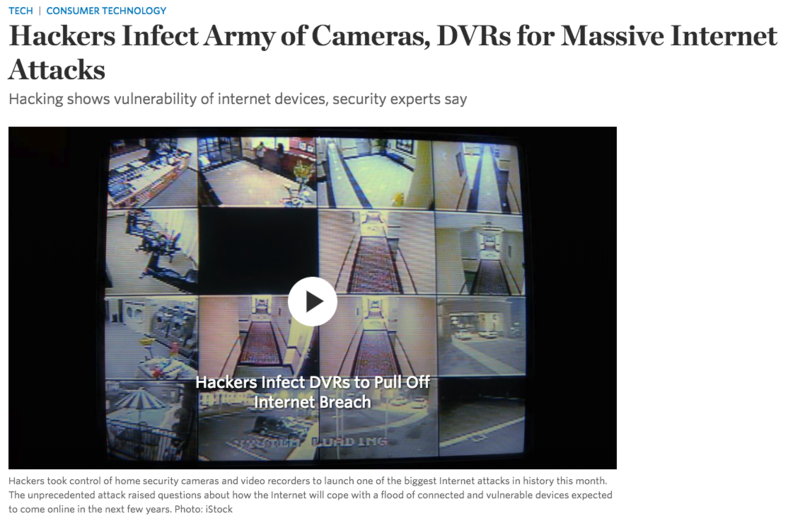 In 2017, there were a bunch of very high profile hacks where outside actors like foreign governments or professional criminal enterprises used the processors inside millions of both low cost cameras and some big name cameras to conduct cyberattacks on critical USA infrastructure like power plants and internet service providers. The cameras plugged into the Admiral line NVR's POE ports directly or plugged into the Imperial Line NVRs Lan2 Network directly are not visible or accessible on your computer network. They run on an isolated network. The only way to access these cameras is to plug a computer into those POE ports or Lan2 ports. There's a physical barrier from the cameras to the main network. In addition, there's also a subnetwork running on the NVRs, which means that even if you do plug a computer into the NVR's physically separate, isolated network, you would also need to know their subnet mask. 2. Isolated Cameras. Since they are on both a physically separated network and a subnet, your cameras are not visible on your computer network or to outsiders. You can connect to the NVR remotely and log in and the use the NVR as a bridge to watch the cameras, but neither you nor a hacker cannot log into the cameras themselves, without either logging into the NVR or being physically present to plug into the NVR and possessing knowledge about your NVR's specific camera subnet mask. (You can customize this camera's subnet, if you want). 99% of all security camera IOT hacks are through the cameras - not the NVR. 3. Less maintenance. Our new 2018 line has 1 click firmware updates straight from the NVR/Camera: meaning: you don't even have to search for, find, or download the footage on a computer. 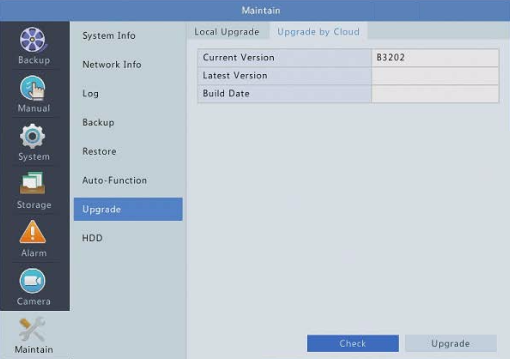 You just click a button when using the device and update the firmware automatically. So, the update process is not difficult to begin with. In addition, you don't have to worry about updating the cameras for cyber security reasons, since the NVR is the only device that can be accessed remotely. It is much easier to keep one device up to date than dozens or hundreds. Our devices didn't seem to be affected by any hacks in 2017, that being said, it is always best to follow our best practices for preventing IOT hacks. This ADM4P4 NVR has 4 POE ports on the back for connecting and powering cameras. 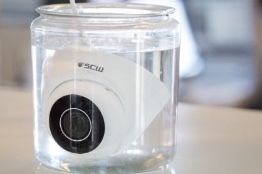 SCW 2018 cameras will plug and play automatically with this device without having to do anything. Just plug in the camera and the NVR powers it, gives it an IP address, and set up the generic settings for you. It just works! Q: Can I use another brand's cameras with this NVR? Yes, you can any ONVIF compatible camera (the open language that any surveillance camera can speak - check your camera for ONVIF compatibility), but only SCW IP cameras or ONVIF Profile Q compliant cameras work with the POE ports on the back of the NVR. ONVIF Profile Q ports are self-configuring and Plug and Play (automatically configuring the camera's video settings, network settings, and power). ONVIF Profile S, Profile G, Profile C, Profile A, or Profile T are not necessarily Profile Q compliant. Profile Q is new in 2018 and we only know a few manufacturers who have embraced it yet. ONVIF compliant (but not ONVIF Q compliant) cameras will need to be connected via an external POE source appropriate for the power needs for that camera. Q: Can I connect cameras somewhere else on my network (I.e. 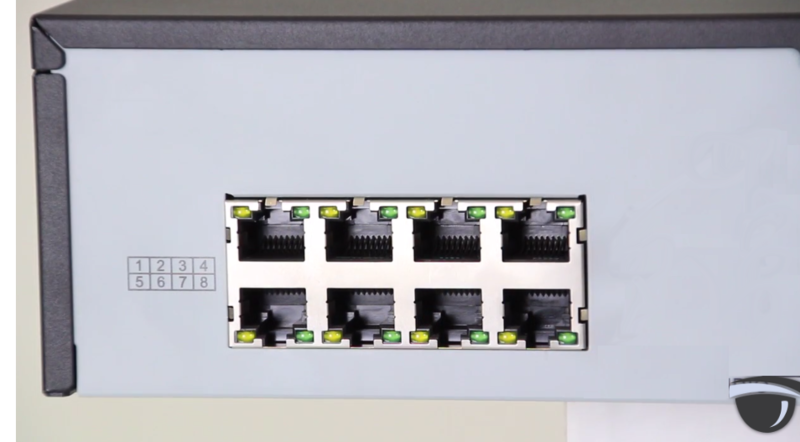 not plugged into the NVR's on-board POE Switch), like a traditional NVR? Yes, you can. You can edit the camera option so that it's manually added rather than Plug and Play. You won't need to directly plug the cameras into the NVR if you don't want to, but you will need to provide them Power with a POE switch or POE injector, if you aren't going to plug them into the NVR. 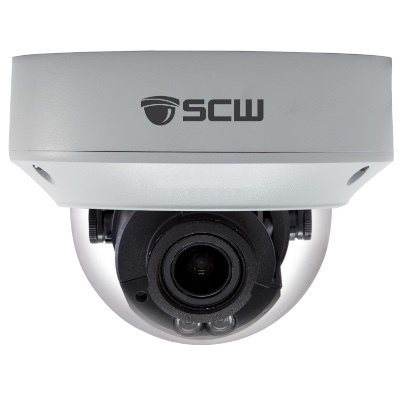 This NVR has SCW EasyConnect2.0 which allows it to plug and play with SCW Cameras up to 750 feet away! Normally, ethernet cable has a limit of ~300 feet. After that you start getting data packet collision (your video data gets all mixed up and hard to figure out the order of the data). With this SCW Admiral NVR and any of the SCW Admiral Line Cameras, you can extend that distance up to 750 feet. 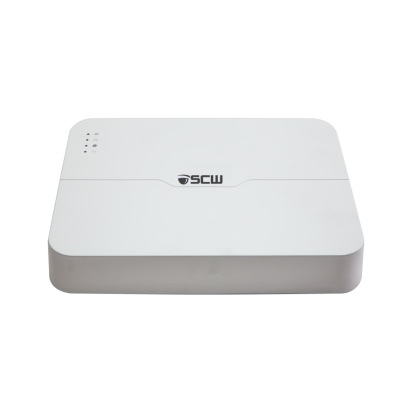 This feature requires both SCW Admiral Line cameras and either a SCW Admiral NVR or a SCW Extended Transmision Enabled POE Switch to work together. This recording device has VGA Out. You can plug this recording device into any VGA enabled monitor. Q: Do I have to use a monitor? A. No, you can use either a monitor or a TV, as explained below. But, you don't actually have to use either. You can manage nearly all your settings remotely via our PC or Mac apps or via the web-interface. Quite a few of our customers hide their recorders or put them in a safe with a cable pass-through, to prevent them from potential theft. This is a perfectly fine solution. You will probably want to plug a monitor in to make your initial setup easier. This recording device has HDMI Out. You can plug this recording device into any HDMI enabled television. This means that you don't need to purchase a monitor unless you want to; you can connect a monitor with either HDMI or VGA cable. Q: What if I plug in both the HDMI and VGA? Can I watch on two screens? A. On all of our units, you can view the system on both VGA and HDMI at the same time. On the 4 channel Admiral, they will display the same image on both outputs. On the 8 channel Admiral (and the 16 channel Admiral - non-Pro), you can display different images on the VGA than the HDMI. On the 16 Channel Admiral Pro and every NVR larger than that, they have multiple HDMI ports and the first HDMI and the VGA port display the same thing, the additional HDMI ports can be set to a different view. Please note that although our NVRs can all do 1080P and 4K output, all of them ship with 720P as the default. This is to prevent display issues for people who have older TVs or monitors that don't support 1080P or 4K. To change the output right click and then go to configuration. We don't sell NAS equipment, but you can purchase just about any NFS compatible NAS and have it work. NFS Is the most common communication protocol for NAS equipment. 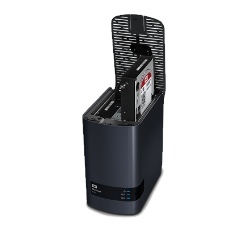 The most popular NAS equipment are made by computer manufacturers such as Western Digital, QNAP, or Synology. This recording device has a Surveillance Rated Hard Drive. 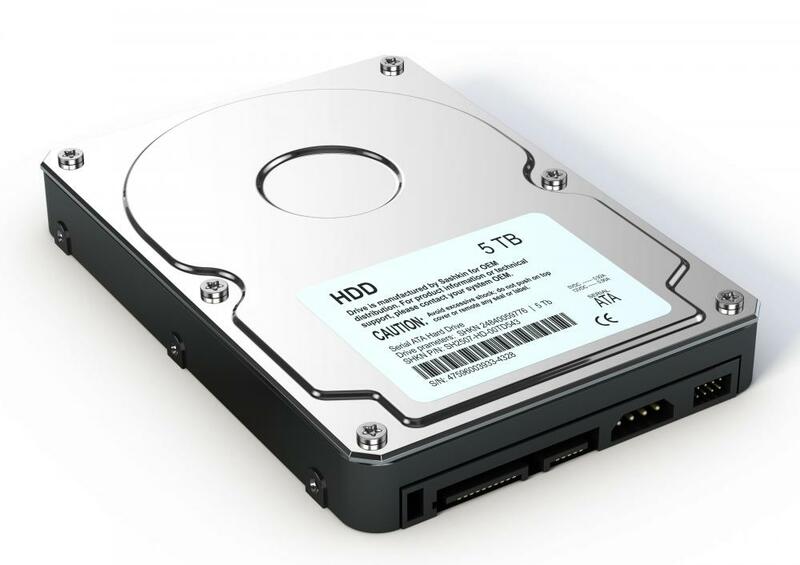 We use high grade hard drives specifically designed for video surveillance. Surveillance hard drives, unlike PC drives, are built to write significant amounts of data, 24/7, for years on end, without failure. Our surveillance hard drives come have their own 3 year warranties from major manufacturers like Western Digital or Seagate. We don't use "knock-off" hard drives. This NVR will plug and play with our Admiral line of cameras. Please note that SCW camera purchased before 2018 will not plug and play with this NVR. Only our Admiral line camera models, (all Admiral models numbers use the 26xxx format), that record in the new, more efficient H.265 compression codex will plug & play with this NVR's POE ports. Admiral Line camera models plug and play, but older models may need a firmware upgrade or use the ONVIF method to connect to these new NVRs. Older cameras may not have the hardware encoding to support this new codex, but you can tell the NVR to use the older H.264 codex. If you have older cameras, please contact our support team for assistance before purchasing. H.265, also known as High Efficiency Video Coding (HEVC) or MPEG-H Part 2, is the video compression standard which replaces H.264. HEVC was a collaboration by many parties including Apple, Microsoft, CIsco, Dolby, and the Moving Picture Experts Group. In comparison to H.264, H.265 offers about double the data compression ratio at the same level of video quality, which means both substantially improved video quality at the same bitrate and lower storage requirements. H.265 saves hard drive space and increases the quality of an image by splitting the screen into a grid and only updating the sections that changed from the previous frame. This focuses nearly all of the processing power of the camera on the areas of the screen with activity. The image quality differences of H.265 is most noticeable in situations such as attempting to watch your camera remotely if your internet upload speed is slow. You can also record in H.264 if you need backwards compatibility. This device works with ONVIF. 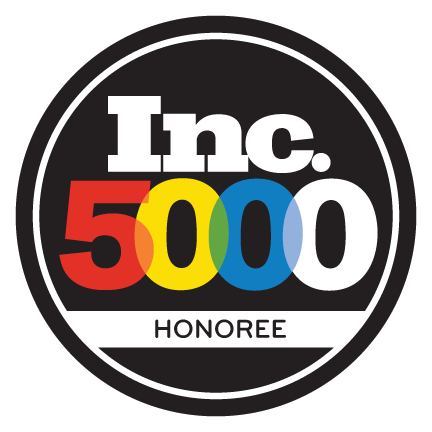 Honeywell, Panasonic, Dynacolor, Sony, Samsung, Pelco, Bosch, Axis, HikVision, Arecont Vision, are ONVIF members. Check with your specific model number from these manufacturers to confirm ONVIF compatibility. UL is a safety consulting and certification company headquartered in Northbrook, Illinois and provides safety-related certification, validation, testing, inspection, and auditing of SCW products. The Federal Communications Commission has certified that the electromagnetic interference from the device is under limits approved by the FCC. This NVR has a Industry Leading 3 year warranty. A one page PDF listing this product's most important specs. It is very, very important that you always bench test IP cameras before installing them. This will help you determine if you accidentally cut an ethernet cable during installation. You should get one of these in your shipment when you order, but sometimes it is nice to have a digital version. Each and every camera you order should have one of these in the box, but if you lost yours or just want to change where the camera is located, here's a digital version that you can print and use. Please see our support portal for a full list of all technical bulletins, user manuals, and software. In this guide, we will be installing a bullet camera on a wall. In this guide, we will be installing a bullet camera on a ceiling. 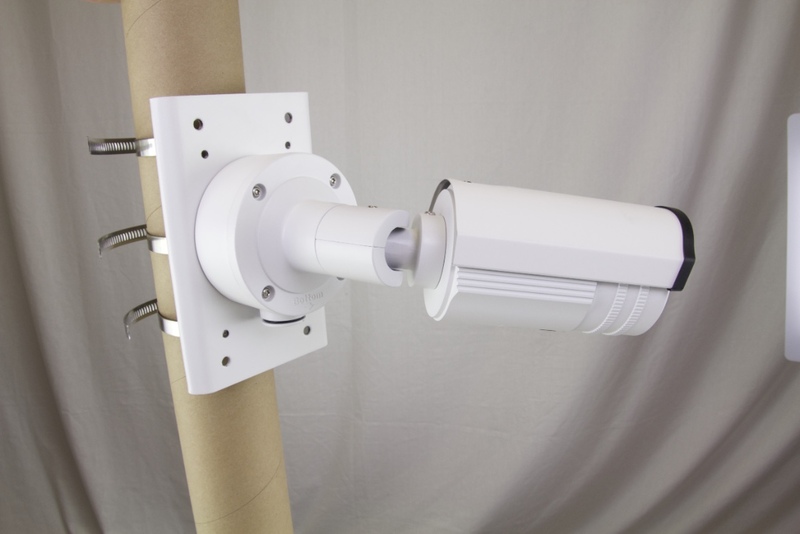 In this guide, we will be installing a bullet camera on a soffit. 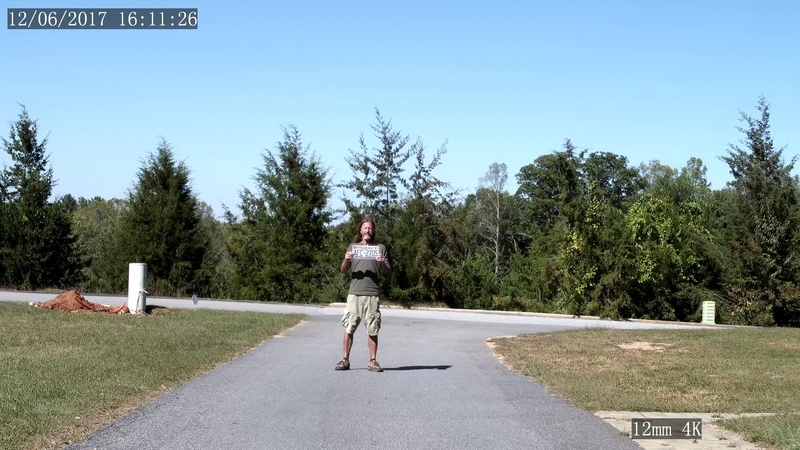 In this guide, we will be installing a Hornet Pro bullet camera on a pole. 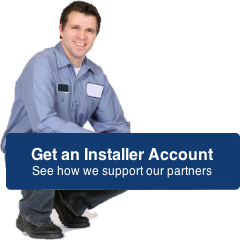 In this guide, we will be installing a dome camera on a wall. In this guide, we will be installing a dome camera on a ceiling. 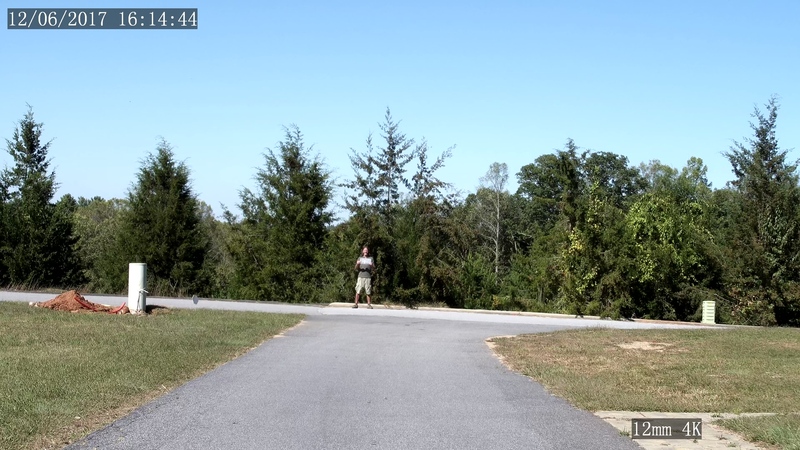 In this video guide, we demonstrate how to adjust the lens positioning on our Dome Cameras. Our electrical box mounts are used to give easy access to your connections, hide them inside the junction box, and allow you to drill a smaller hole in your wall. If you want to run EMT or FMC conduit they are necessary to run conduit straight to the camera.